There are so many beautiful pics of the Sun, it’s almost too difficult to know where to start. 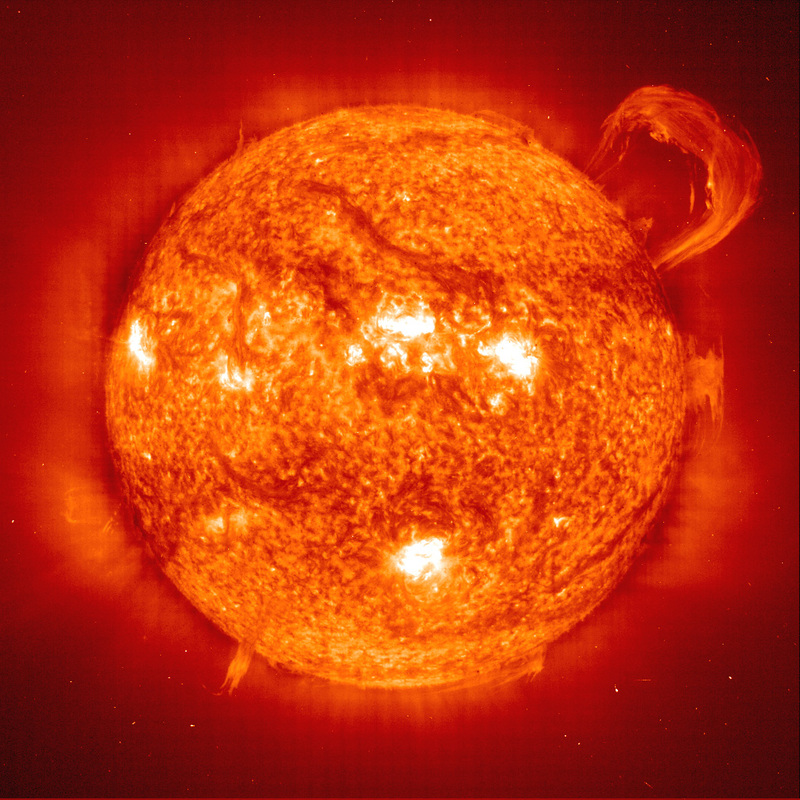 This is a picture of the Sun captured by NASA’s SOHO spacecraft. It would be a typical day on the Sun, except for the enormous coronal mass ejection blasting out of the upper right-hand side of the Sun. When the Sun is at its most active state, it can release 5-6 of these a day. This photograph of the Sun was one of the first captured by NASA’s STEREO mission. These twin spacecraft were launched in 2006. One is leading the Earth in orbit, while the other has fallen behind. With both observing the Sun, scientists are given a 3-dimensional view of the Sun. This pic of the Sun shows our star on a calm day, believe it or not. 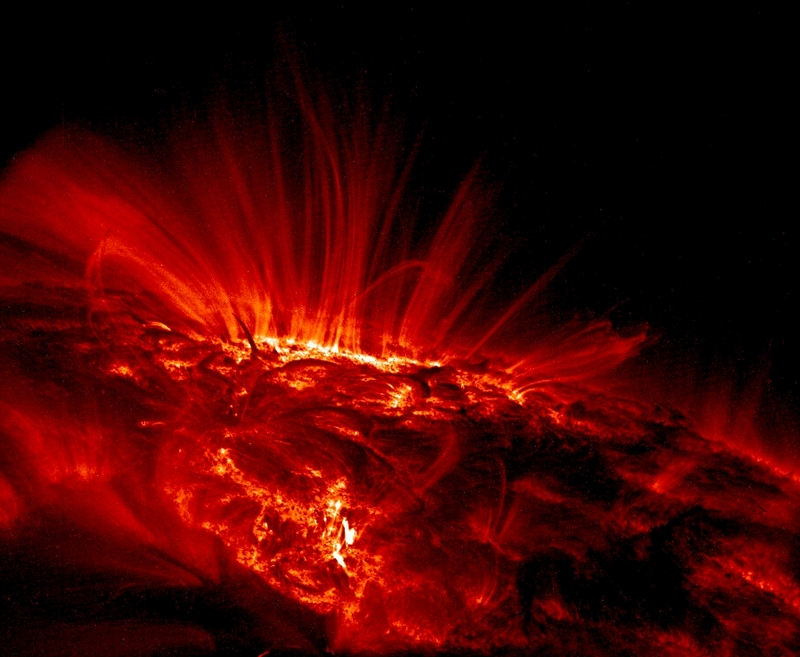 When you look close, this is what the surface of the Sun is doing all the time. The TRACE spacecraft was launched in 1997, and helps scientists study the Sun’s magnetic field – and to take beautiful photos like this. 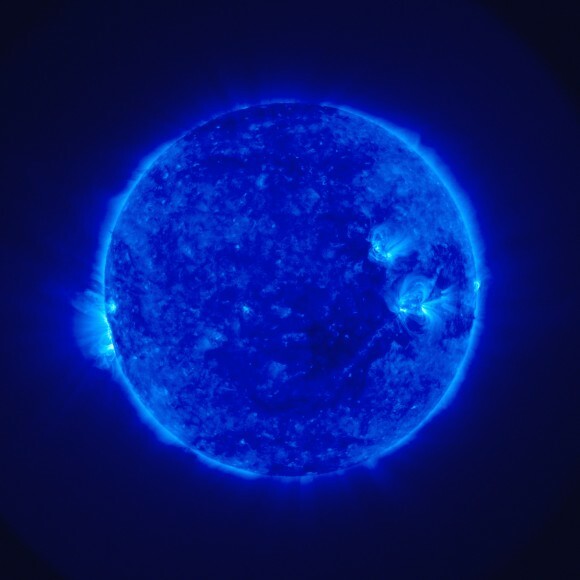 This picture of the Sun was captured by the EIT instrument on board the NASA/ESA SOHO spacecraft. It reveals the normally invisible ultraviolet radiation streaming from the Sun. 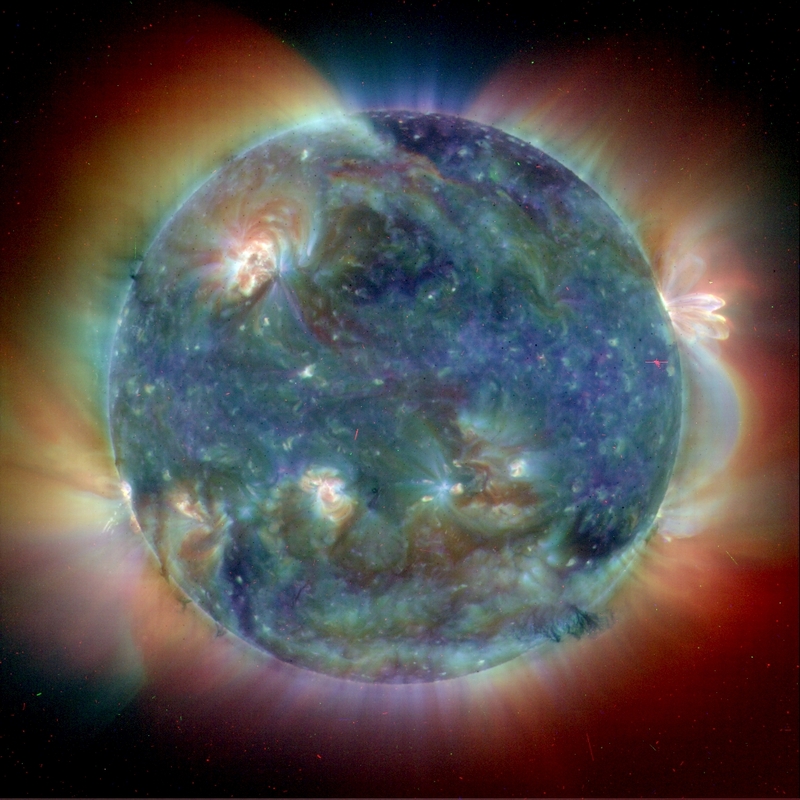 It’s actually a composite of three different Sun photos captured at different parts of the ultraviolet spectrum and then merged together. 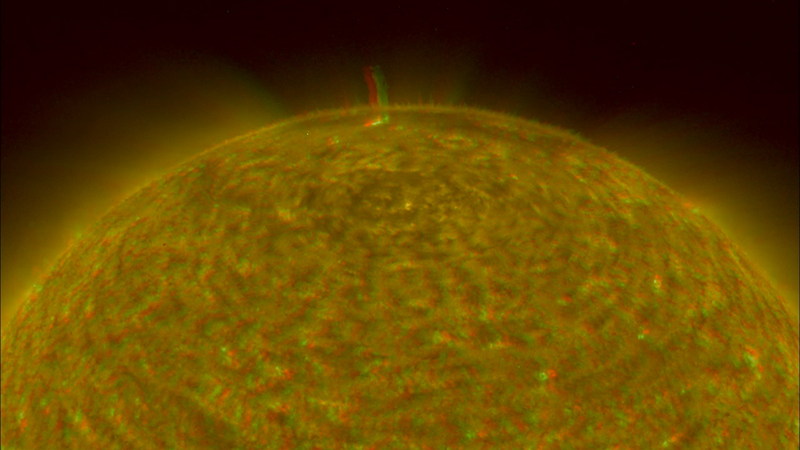 You’re going to need a set of 3-D glasses to get the most out of this Sun photograph. It’s an image of Sun captured by NASA’s twin STEREO spacecraft. Images like this help scientists understand how the Sun interacts with its local environment, and better predict space weather.